In 2016 v2 release we're happy to present the beta version of TreeView for WinForms. This control is designed to display, manage and edit hierarchical data structures. 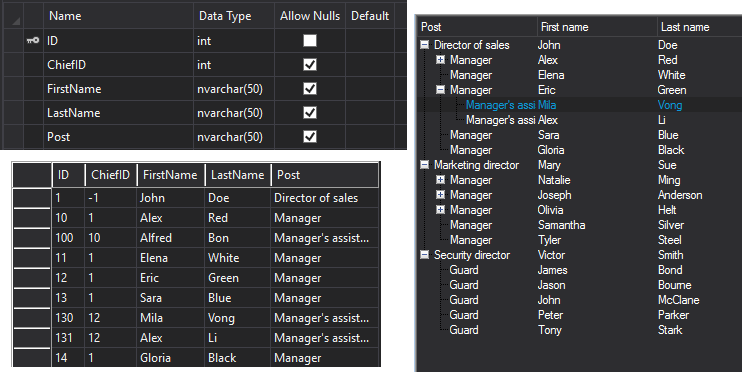 TreeView for WinForms extends the core concept of standard TreeView control with multi-column representation, editable nodes, multiple images for single node, several data binding modes, rich styles and more. Now you can build and run application to see how it all works at runtime. 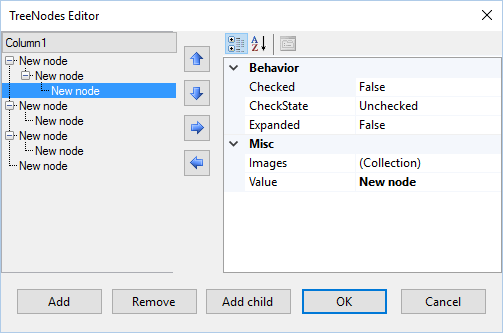 In addition to unbound mode, the control may take two types of data binding: Hierarchical data: To display hierarchical data, you should specify DataSource and DataMember properties. 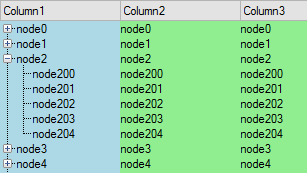 The DataMember property determines the name of a specific record set within the DataSource. Self-referencing data: To display self-referencing data, you should specify the DataSource, KeyField and ParentKeyField properties. KeyField property determines the key field of the data source bound to the TreeView control. ParentKeyField property determines the data source field identifying the parent record in this data source. 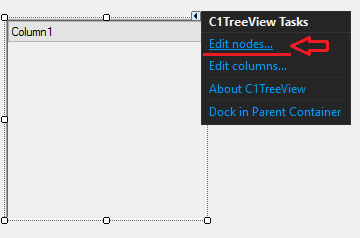 The C1TreeView control supports editing. To enable it, set AllowEdit property to True. C1TreeView has three embedded editors: TextBox, ComboBox and CheckBox. To switch editors, you should use C1TreeColumn.EditorType property. You can also use any other custom editor controls. To set custom editor use C1TreeColumn.Editor property. For advanced editing scenarios your custom editor should implement IC1TreeEditor interface. 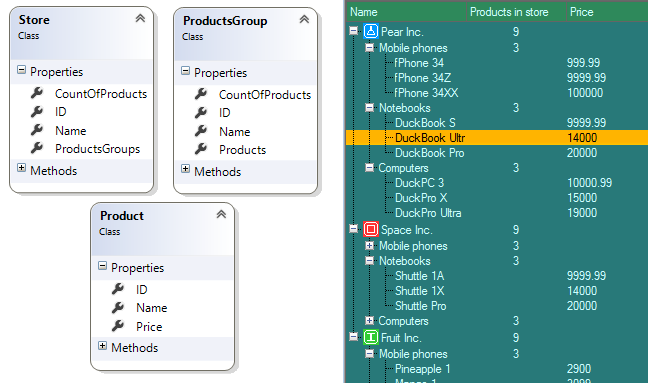 To change the style of tree or tree column, use C1TreeView.Styles or C1TreeColumn.Styles properties. 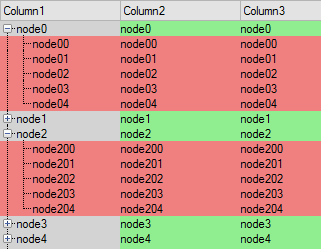 To change the style of tree node or tree node cell, use ApplyNodeStyles or ApplyNodeCellStyles events.